We love seeing that there’s so much versatility with cooking without gluten or sugar! What started your cooking journey and why have you focused on recipes that include gluten and refined sugars? After discovering I was gluten intolerant in 2016, I completely cut it from my diet which was a huge learning curve for me when it came to cooking and baking. I read lots of cook books and learnt about lots of different flour alternatives and switched my focus to wholefoods which I now use on a daily basis. After a little while, I decided to cut refined white sugar from my food as I was having issues with anxiety and it helped dramatically! As a mum and a small business owner, what’s the secret to managing your time so you still have time to create delicious and wholesome food? You just need to prioritise your health – eating well doesn’t need to be time consuming or difficult. At night I usually just whip up a salad and when my husband gets home from work he will cook us something on the BBQ. For lunch, I usually eat a sandwich or salad with a Cocobella Straight Up Coconut Water. What are your favourite ways to rest and recharge? Rest? What’s that haha! Finding time is not as easy as it used to be pre-baby that’s for sure, but I love catching up with friends for brunch or heading to farmers markets on the weekend. 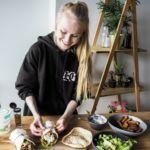 We love learning about how our Ambassadors include Cocobella in their day-to-day routine and cooking. What’s your favourite way to use Cocobella? I love using the Cocobella natural coconut yoghurt in pancakes. I just drink the straight up coconut water as a refresher with lunch – my 9 month old Easton loves it too. Are you a sweet tooth? Or is savoury your jam? 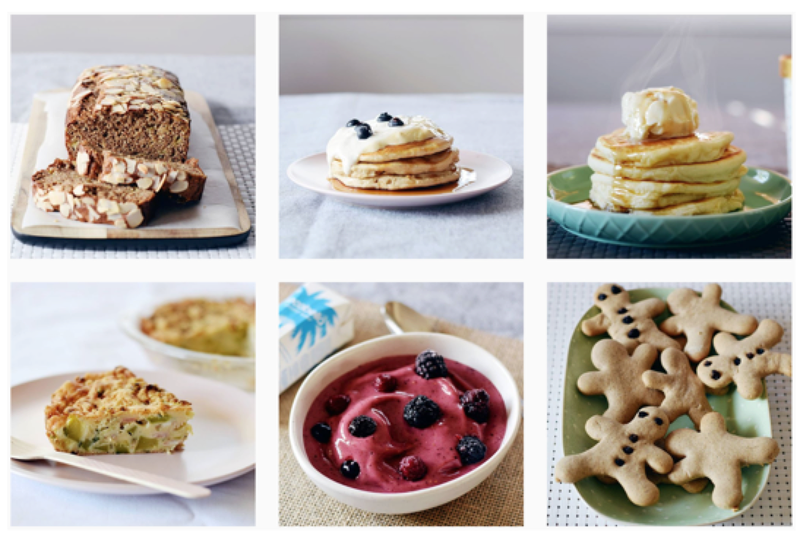 What’s your favourite guilt-free recipe to satisfy the sweet cravings? I am a total sweet tooth. My favourite treat are my chocolate chip buckwheat cookies. They are not too sweet and still satisfy a sugar craving. Can you tell us a little more about Bask & Co? When and why did you start your own foodie brand? 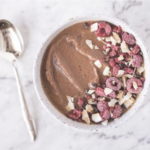 I launched Bask & Co. after discovering there was a lack of nutrient rich, unprocessed, gluten free and refined sugar free breakfast cereals on the supermarket shelves. 6 months of recipe development on friends and family went into creating Bask & Co. Granola Clusters and they finally hit the shelves in September 2016. I have had such an amazing response to the product – they are still selling extremely well! What are 5 things we’d always see in your shopping trolley? Why are they unmissable in your household? Coffee, fresh fruit & veg, good quality gluten free bread, Greek yoghurt & 90% dark chocolate. Coffee is a necessity with being a work from home Mum! Greek yoghurt is my baby Easton’s favourite food – he is addicted. I always have one square of dark chocolate after dinner as a treat. 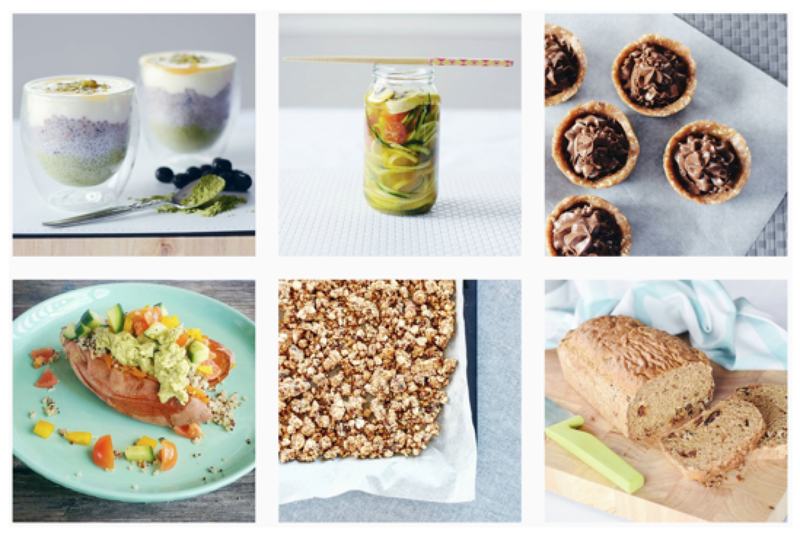 Are you able to share with us your top 3 inspirations on Instagram for cooking ideas? 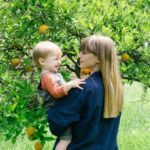 @livelovenourish: Casey-Lee is a fellow Brisbane mum & she always shares amazing whole food cooking ideas. @wholesomepatisserie: Sam has the most amazing foodie account with beautiful photos. I make her chocolate pancakes often! 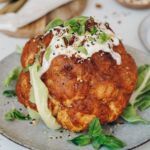 @thedishonhealthy: Aleyda shares amazing recipes with plenty of savoury ideas as well as baking tips. What tips do you have for people looking to start their own foodie account on Instagram? How much time does it take? What are the pros? Cons? So much has changed on Instagram since I launched my account in 2016. You really need to be prepared to put in a lot of work. The key is to produce consistently good content and be genuine. People will follow you if they can relate to your story and connect with you. I have been very lucky that I haven’t received any negative feedback from my account, but you do need to be aware of people who troll accounts and not let in affect you. Do you have any new exciting projects on the horizon? What will we see you up to next? I am working on a new flavour for the Bask & Co. range. It is still in the very early stages, but I hope to have that launched this year. Thanks for chatting to us Janessa! Be sure to check out and follow Janessa’s Instagram here for delicious ‘naughty but nice’ recipes here.